So today we talk Cetaphil! So just cleanse, tone (sometimes even this is not necessary if you use certain cleansers) Serumize (If that's even a word) & Moisturise !!! 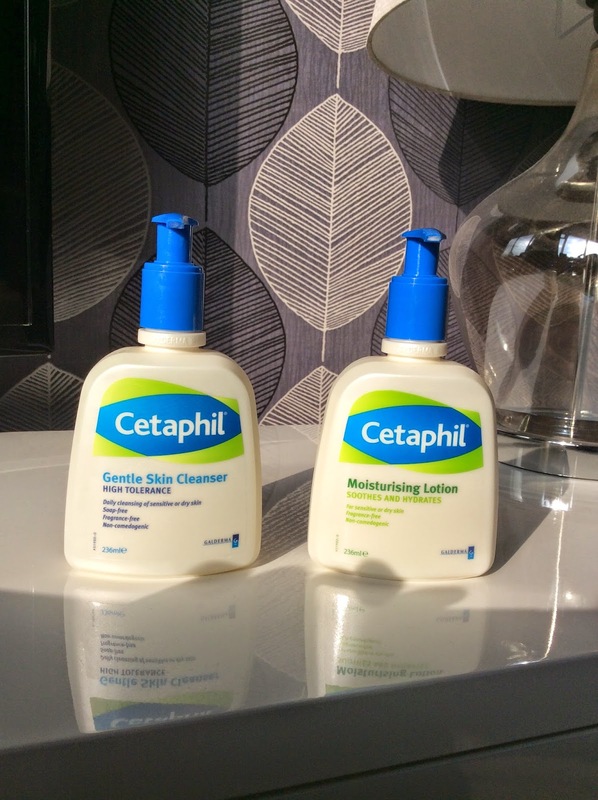 Let’s start by talking about Cetaphil Gentle Skin Cleanser, it is gentle on the skin but still has enough oomph to make the skin feel extremely clean - which for me is really important, there is nothing better than getting home and taking away the days make-up and this will get it gone! This product is amazing for Sensitive Skin Types because it should not cause any irritation, yet at the same time it won't cause the skin to dry out. I know that this is a product that dermatologists recommend, especially if you have sensitive skin or if you suffer with acne - Really you should be able to see results within one week ! Since using this product (alongside other things) my skin has never been clearer. I felt it was really important for me to review this product because it really did improve my life and most importantly my skin! This does not get rid of spots, but it stops more pesky pimples from developing - I am a fond believer in prevention is better than a cure! Again, I used your standard Garnier, Clearasil etc but they never worked for me - I think sometimes brands try and get too funky and chuck in millions of ingredients which may smell incredible but really they are not helping the matter at hand. In terms of application, this has no lather or residue and feels more like a thin lotion which I personally prefer. 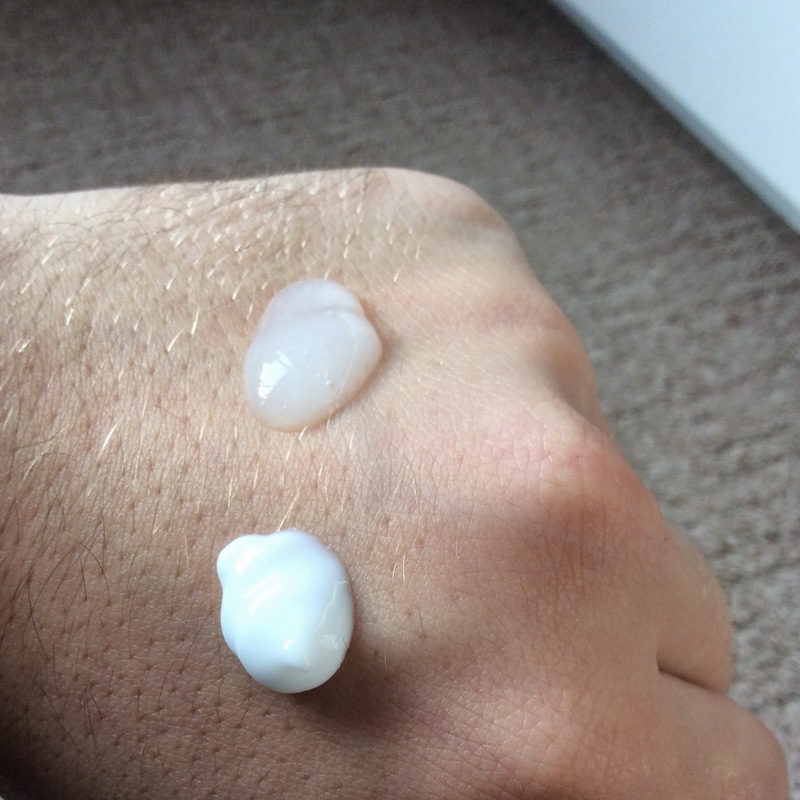 Clear liquid is the cleanser, white liquid is the moisturiser. Now, onto The Cetaphil Mosturiser this product has all of the same benefits of the cleanser like its fragrance free, non-comedogenic (Which means it clog your pores), for sensitive skin types etc etc... However I am not as in love with this product as I am the cleanser :-( . Don't get me wrong, it is still a very good moisturiser - however I like moisturisers that absorb quickly, leave no residue on the skin, provide hours of hydration and feel luxurious and comforting to the skin and unfortunately this moisturiser did not do that for me. It feels thin in consistency, therefore not providing that baby skin feel. I hope this was useful and remember, our faces don't need to be covered in products, simplicity is the key - Our skin is just crying out for some gentle tender loving care LOL !!! Thanks for reading, as always any questions give me a shout. Hugs and beauty blogger love.